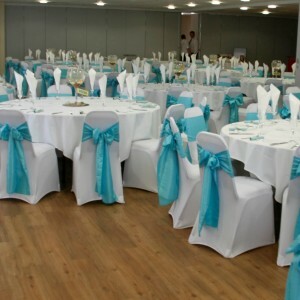 Seaham Town Hall, owned by Seaham Town Council, is operated by Ramside Event Catering who have extensive experience in event management at various locations in the North East. 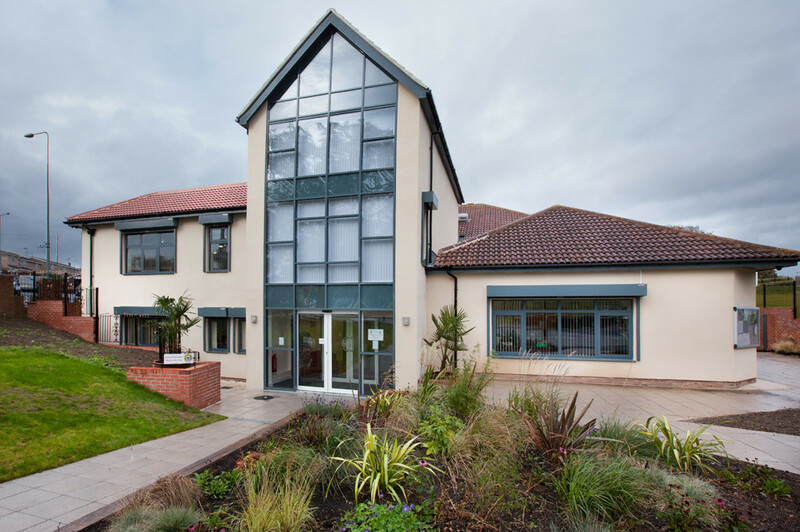 Set in fantastic parkland in the heart of Seaham, the newly constructed Town Hall can cater for all of your needs, be it conferences, weddings, birthdays, Christmas parties, music events, cultural events, funerals, christenings as well as theatre productions. 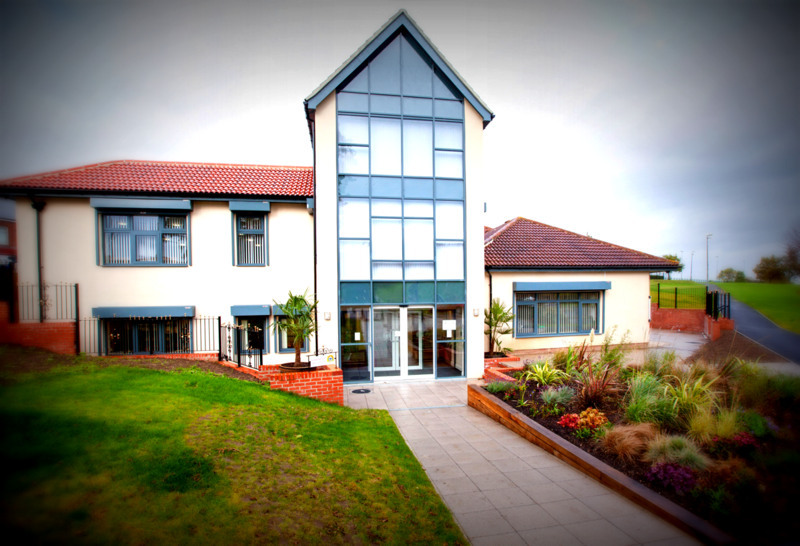 With ample on-site parking, the Town Hall is easily accessible being just a couple of minutes off the A19. 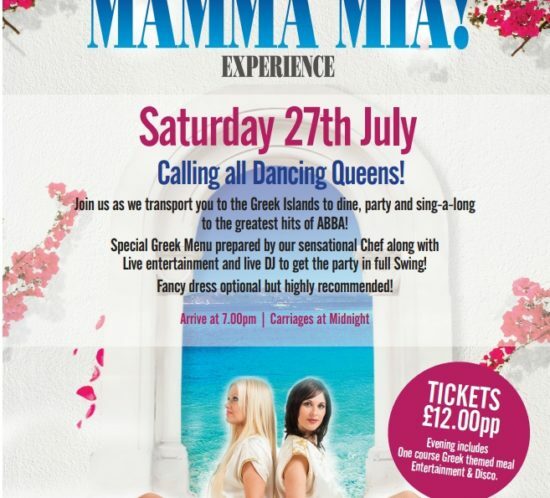 For more details, give us a call on 0191 493 2300 or send an email via our contact form. 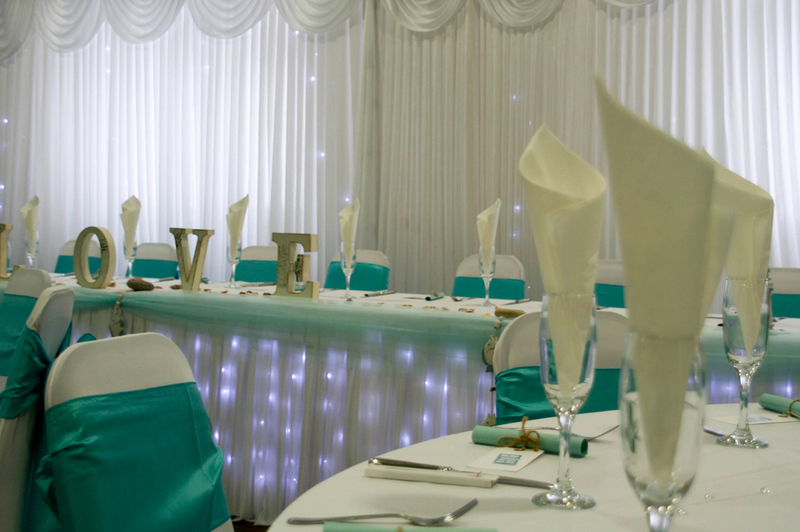 An intimate room that can sit 60 people – theatre style, for occasions such as seminars or wedding ceremonies – or for 40 people banqueting style or in a boardroom format. 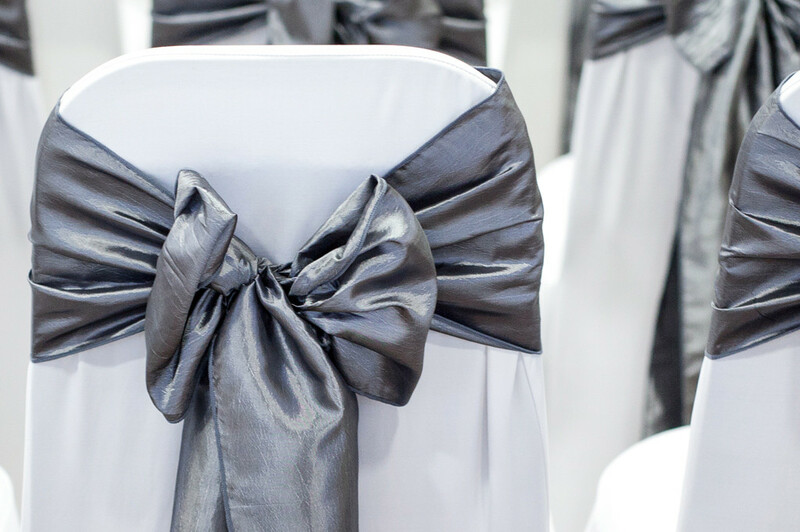 The room can be dressed for civil ceremonies with beautiful draping, chair covers and sashes to compliment the occasion. 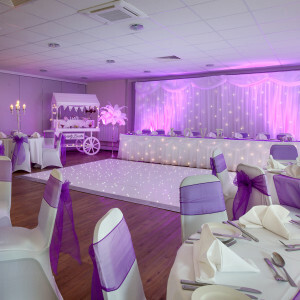 The Park Room is a multi purpose conference and banqueting suite that can be divided into two parts of differing sizes. 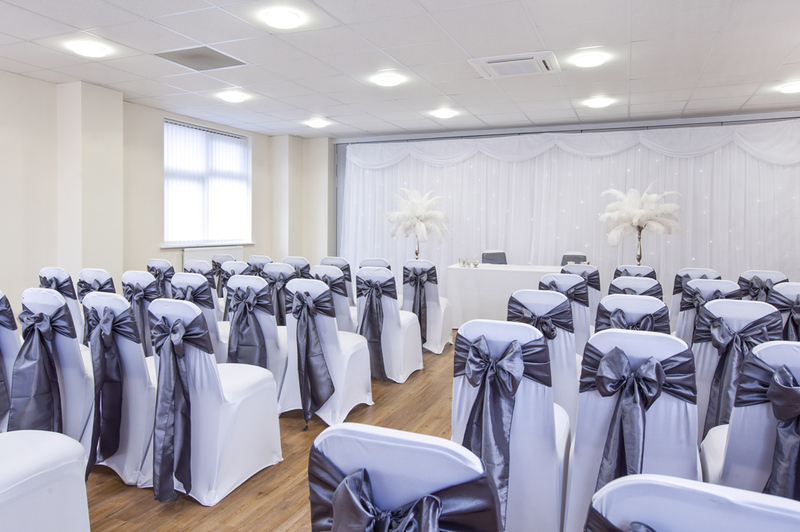 The suite is tastefully decorated and can seat up to 250 guests. And, rather cleverly, for occasions with large numbers of guests, the Town Hall’s rooms can be combined to seat up to 300 around banqueting tables and even more in theatre style. 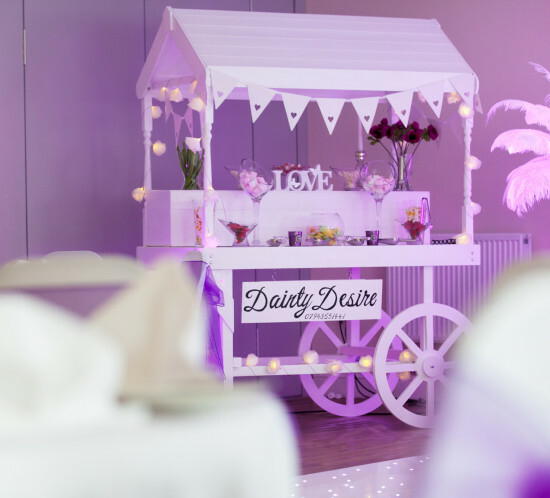 Our first desire is to give you a wonderful and memorable experience at Seaham Town Hall that you and your guests will remember for a lifetime, and firmly establishes Seaham Town Hall as one of the leading venues in the area. 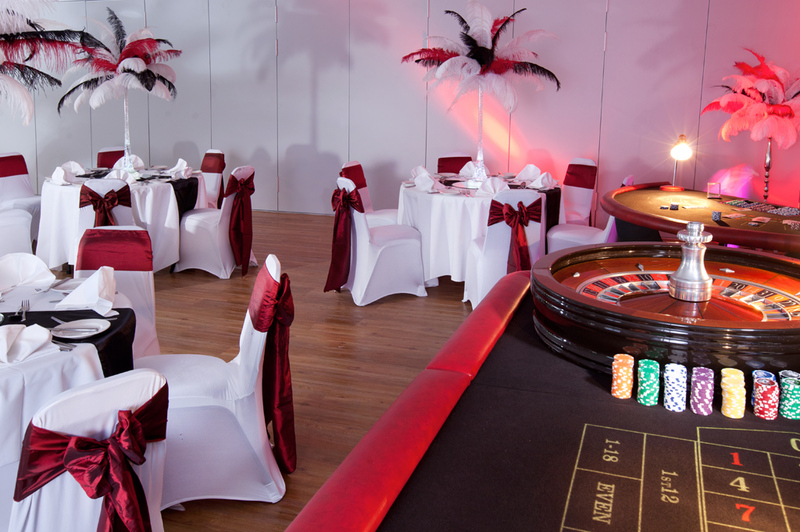 Ramside Event Catering has over 30 years of experience gained from running events throughout the North East. 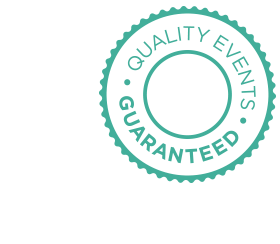 From event planning, through to providing and running the bars, full banqueting, buffets, hog roasts or BBQ’s, we can do it all with our normal passion for quality – guaranteed! With a full wedding licence enabling you to have your marriage ceremony on the premises, with thoughtfully-provided private areas for those intimate pre-wedding moments between the bride and bridesmaids, with space for tables to seat anywhere from 30 to 300, with beautiful parkland for those all-important photographs or alfresco drinking with professional caterers and wedding organisers . 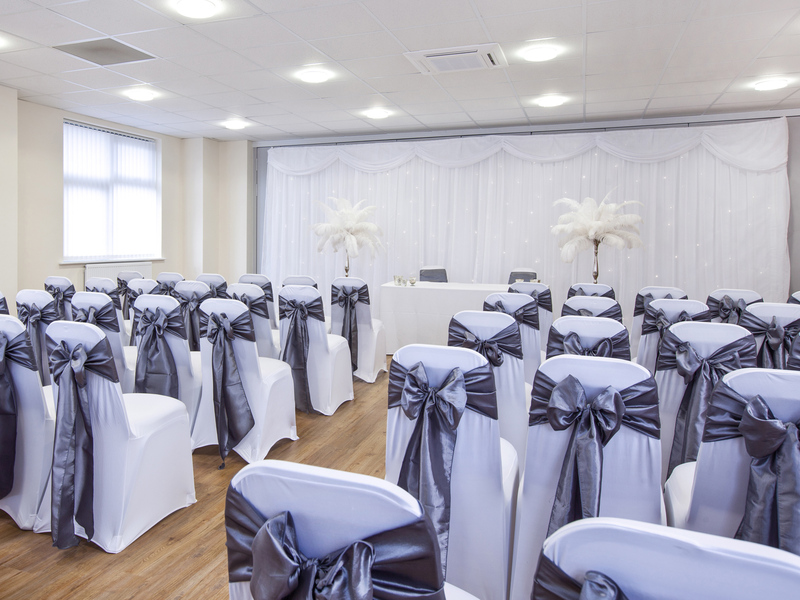 . . . . Seaham Town Hall is the perfect venue for your wedding. 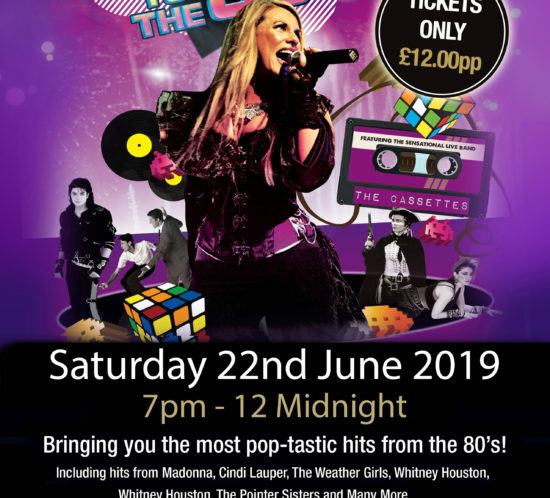 Organise your own party or let us help you by using our colleagues in the party industry, who can decorate the suite for your occasion or provide live bands or DJs and our award winning chefs can provide you with a traditional menu or something wild and wacky. So if it’s an fabulous hog roast package and a tribute band you’re after, we can do it for you. 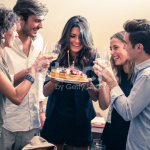 But we are more than happy to provide you with bespoke menus, creative ideas and don’t forget our first class service. East Durham’s got a great new location for business. With numerous break-out rooms for smaller meetings, the Town Hall also provides seminar spaces to seat from 20 to 300 people in theatre style. 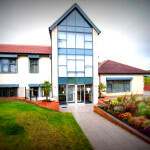 With its cleverly designed partitioning system, the Seaham Town Hall is an ideal place for exhibitions and conferences. With our event management experience, we can tailor a package with the your needs at heart. Just a couple of minutes from the A19 and with ample parking immediately outside, Seaham’s a great place for you to do business. 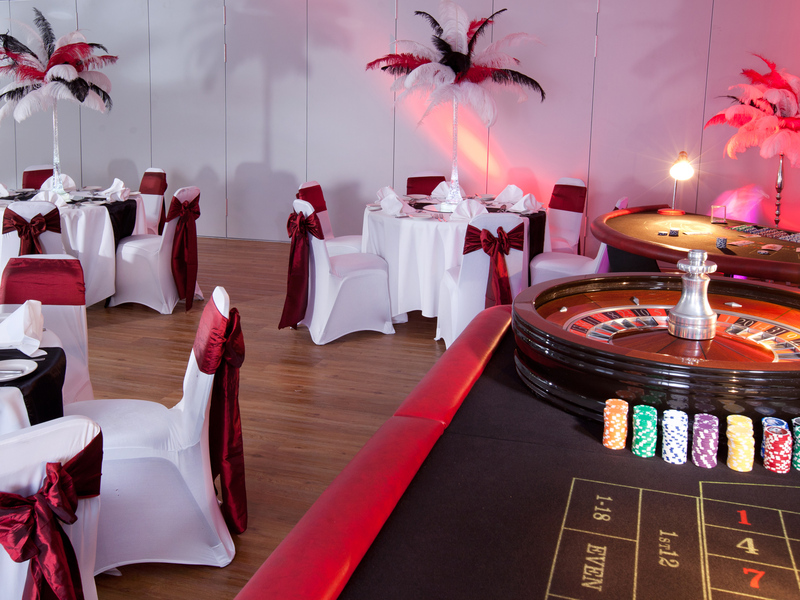 For intimate gatherings or excitement-filled parties, Seaham Town Hall is the venue for you. 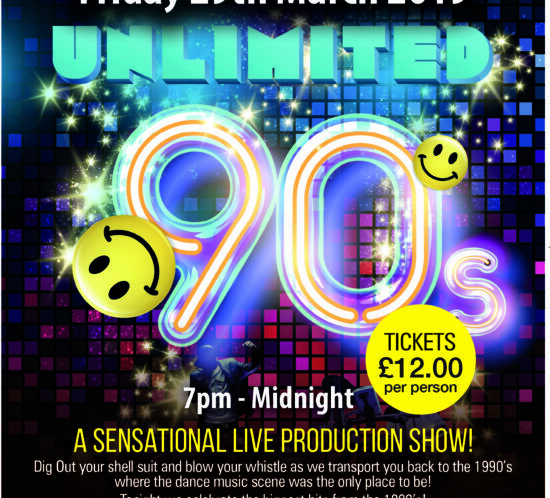 Along with its late bar licence, there’s a moveable stage for discos or bands and a fabulous selection of menus to suit all budgets. 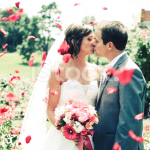 And there’s ample space for dancing with the flexibility to set up more intimate areas separate from the festivity. 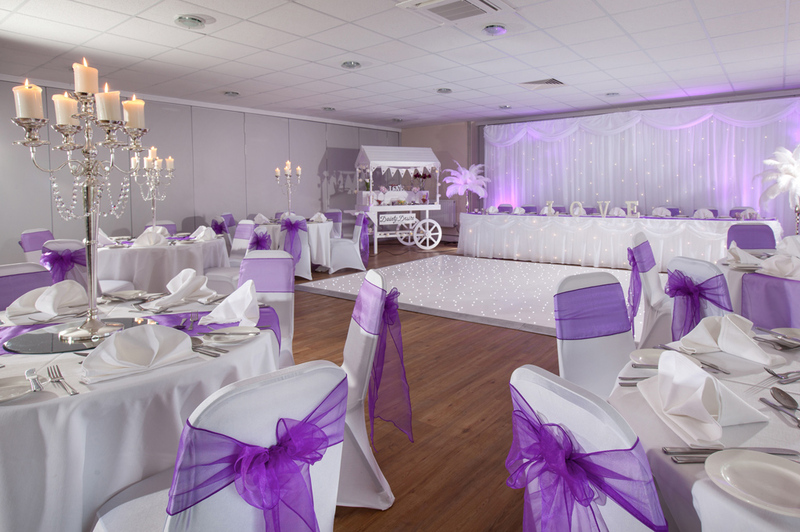 We can host engagements, anniversaries, christenings, proms, birthday parties and funerals. 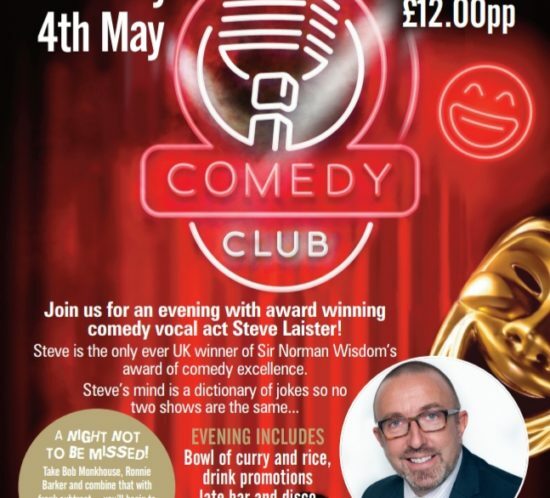 So if you’re looking to celebrate for any reason then Seaham Town Hall is a great place to do it. 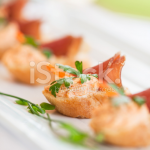 The catering at the Town Hall is provided by Ramside Event Catering, a company known for its award-winning North East hotels, bars and restaurants and its support of local businesses. Ramside Event Catering lives by its reputation for its fabulous food and service and that’s why we guarantee you top quality. 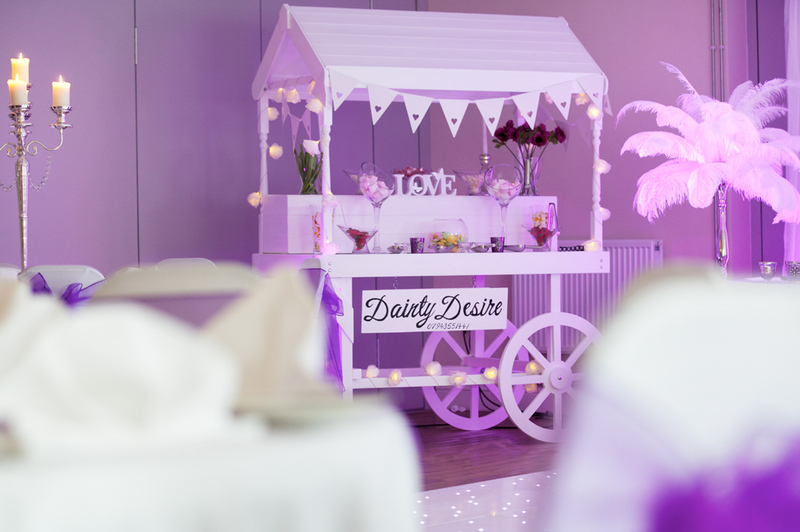 Sourcing directly from farms and producers in the North East, Seaham Town Hall has one of the leading caterers for your event. We have nothing but thanks to the staff and managers who helped make our wedding day at the town hall more than I could have hoped for! Very helpful, professional and positive, they can make anything happen to suit you. Also fabulous food cooked to perfection! Very happy guests! 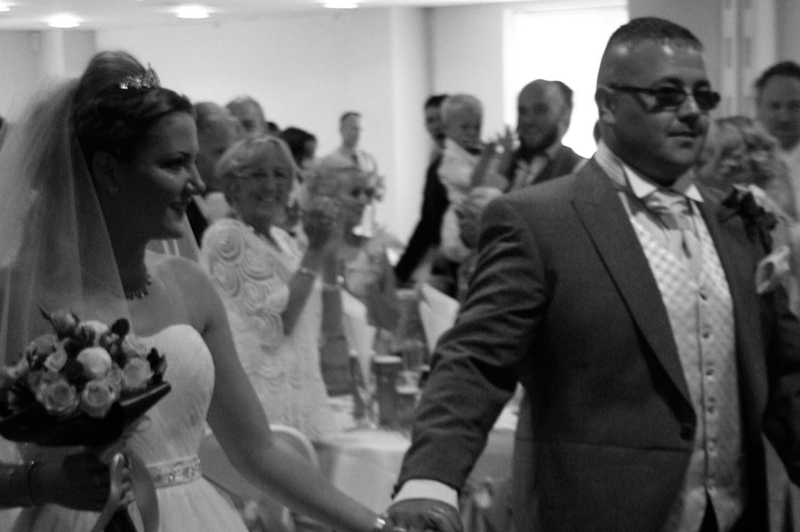 My husband and I were thrilled with our wedding ceremony and day/evening at Seaham Town Hall. All the staff were very attentive and made sure our day ran smoothly. We would love to relive it all over again. Would 100% recommend. 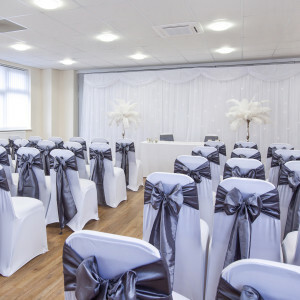 Now in it’s fifth year of business at this new location, Seaham Town Hall is thriving and continues to host a large number of weddings as well as numerous parties, celebrations, theatrical productions, music nights, civic events, training sessions and business meetings since opening. The Christmas programme for 2019 will be available early Spring so watch this space and there’s a rapidly-building diary of bookings for 2019 and 2020 including dozens of weddings.  Using sat nav: Seaham Town Hall is registered with Google Maps and you just need to type the words “Seaham Town Hall” into Google Maps’ search bar. With the Town Hall being very new, it won’t appear on many existing sat navs. It’s postcode is SR7 0HP which will get you fairly close! 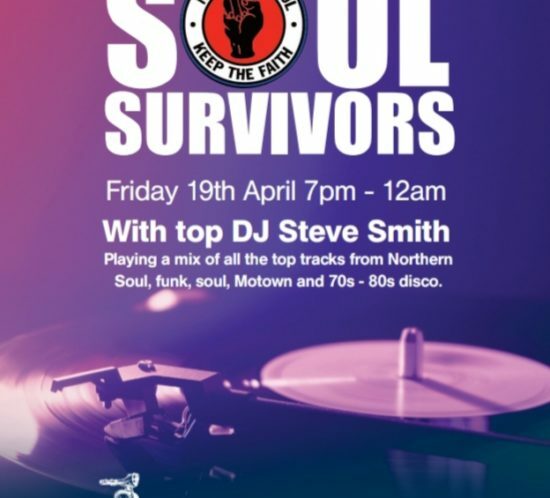 Coming North up the A19: leave the A19 at the junction signposted Seaham and Dalton Park. At the roundabout at the top of the ramp, go straight on (do not turn right following the Seaham sign). Come to a second roundabout and take the third exit signposted Seaham B1275. Follow the B1275, straight on at another roundabout and, as you drive down the hill, you’ll see a mini roundabout in front of you with the Mill Inn public house on the left. Seaham Town Hall is the building on the right side of the road just over the mini roundabout. Turn right at the mini roundabout and immediately left into the car park. Coming South down the A19: leave the A19 at the junction signposted Seaham B1404. At the top of the ramp, turn left. Follow the road until coming to traffic lights, at which turn right. Follow the road until, as you drive down the hill, you’ll see a mini roundabout in front of you with the Mill public house on the right. Turn left at the mini roundabout and immediately left into the car park.